And welcome to the Color Crush Series! 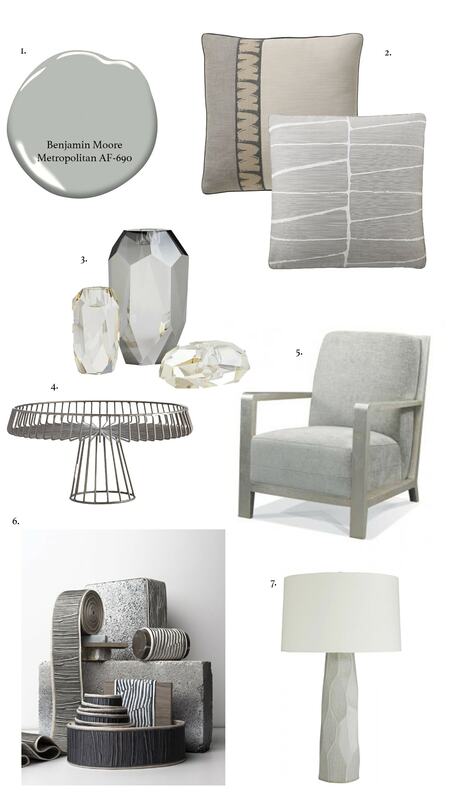 I’ll be sharing a curation of current home decor trends, as well as my very own current loves for the home. And who knows, maybe you’ll find that perfect shade of blue you’ve been looking for, or your mad search for that blush chair will come to an end? I’m beginning the month with Benjamin Moore’s 2019 Color of the Year – Metropolitan AF-690. This neutral shade is “calm, composed and effortlessly sophisticated” and it “exudes glamour, beauty and balance.” Love it already! Maybe you have a color you’ve been crushing on and need to find a little bit of home decor inspo? If so, drop me a message via email and I’ll curate your very own color crush board! ← It’s Spring and time to clean! → Performance Fabrics: All you need to know!